By Radwan Jakeem – NEW YORK – Young and ambitious independent Kazakhstan is well-known for decisions marked by ingenuity and innovation. The creation of the Astana International Financial Center (AIFC) was no exception. In fact it confirmed the long-established tradition. The Center has turned out to be a unique project for the CIS countries. Backed by a court of its own, empowered by an arbitration facility, armed with stock exchange and a regulator, AIFC is becoming the “hub” drawing investors to Kazakhstan. The initiator and key organizer of the AIFC is President Nursultan Nazarbayev. During one of his public speeches, “Plan of the Nation – 100 Concrete Steps to Implement Five Institutional Reforms”, he proposed an extraordinary initiative: to create AIFC in Astana based on the ASTANA EXPO 2017 infrastructure. A similar center in Dubai became a reference point. Even before the AIFC’s formal opening, more than 55 companies have registered with the center. According to the head of the International Financial Center Astana, Kairat Kelimbetov, by 2020 their number should exceed 500 companies. international opportunities of Kazakhstan itself, allow it to find and take its place in the overall pattern. 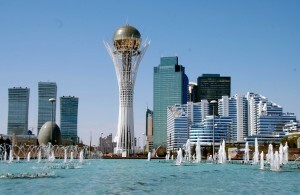 Kazakhstan considers AIFC as part of the global financial system. The global network of financial centers that manage global cash flows runs across the globe — from Toronto to Sydney and from Tokyo to New York. Each of them has its own niche. Meanwhile, Western experts also support the idea that a new financial bridge has appeared in the world between Europe and Asia. According to preliminary forecasts by the Kazakh authorities, the AIFC will be able to attract billions of investment in the country’s economy. 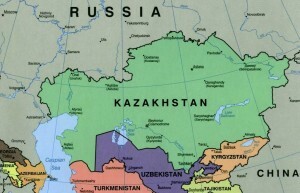 The plans of Kazakhstan are, of course, evaluated as ambitious, but, given the current conditions, are quite feasible. Astana is well aware that competition for investors is increasing every day, and only a promising product that meets the requirements of the modern realities of the world economy can attract investment.